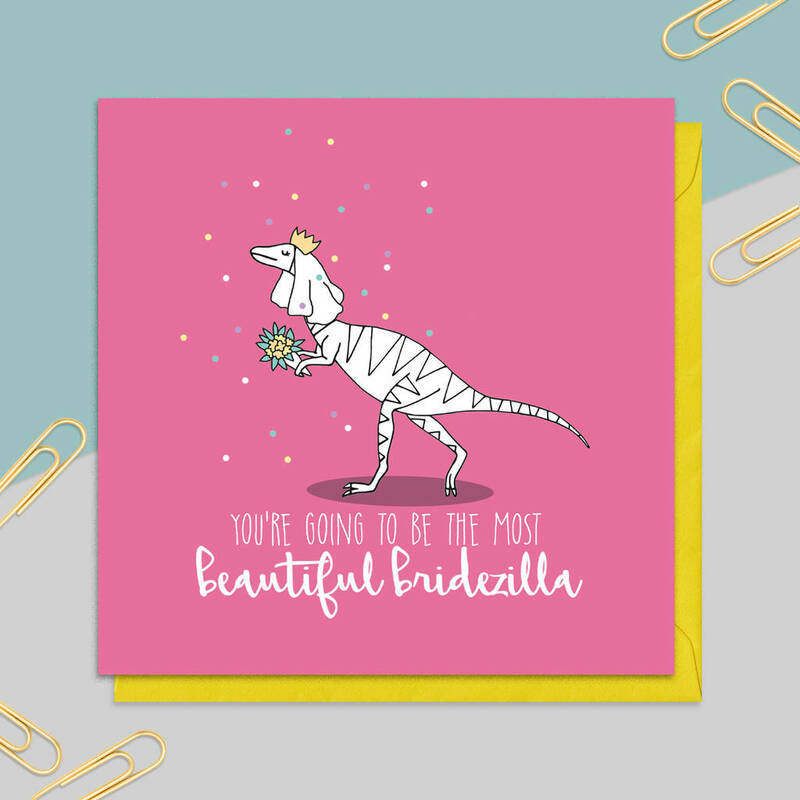 This is a quirky, illustrated card featuring an illustration of a beautiful bridezilla - perfect for any bride to be. 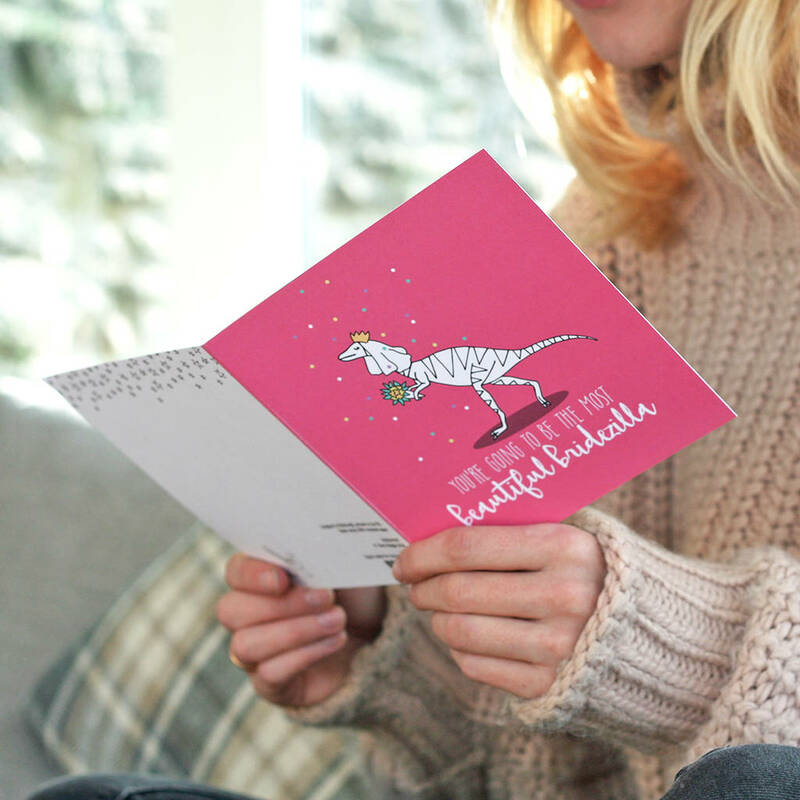 This card has been left blank inside for a personal message. It comes with a bright yellow envelope and wrapped in cellophane packaging.